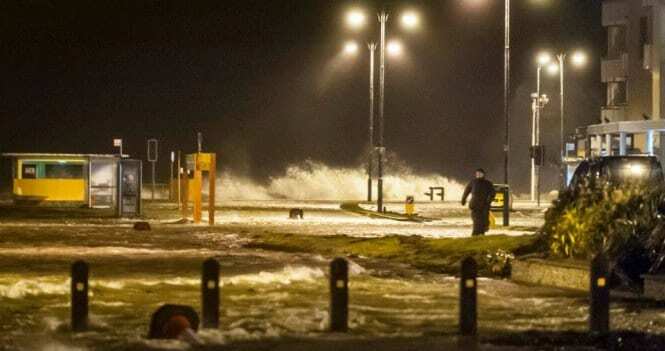 Road crews are on standby to deal with any possible flooding in Galway city as Storm Erik is set to hit Galway in the early hours of Friday morning. A status orange weather warning is in effect for Glway, Mayo, and Donegal as Met Eireann warns that Storm Erik could bring winds of up to 130km/hr, possibly stronger on exposed coast. There is also a risk of flooding as the storm lines up with predicted high tides. The council has said that its road crews will be on standby to deal with any spot flooding caused by high winds and heavy rain. Stay Back, Stay High, Stay Dry!